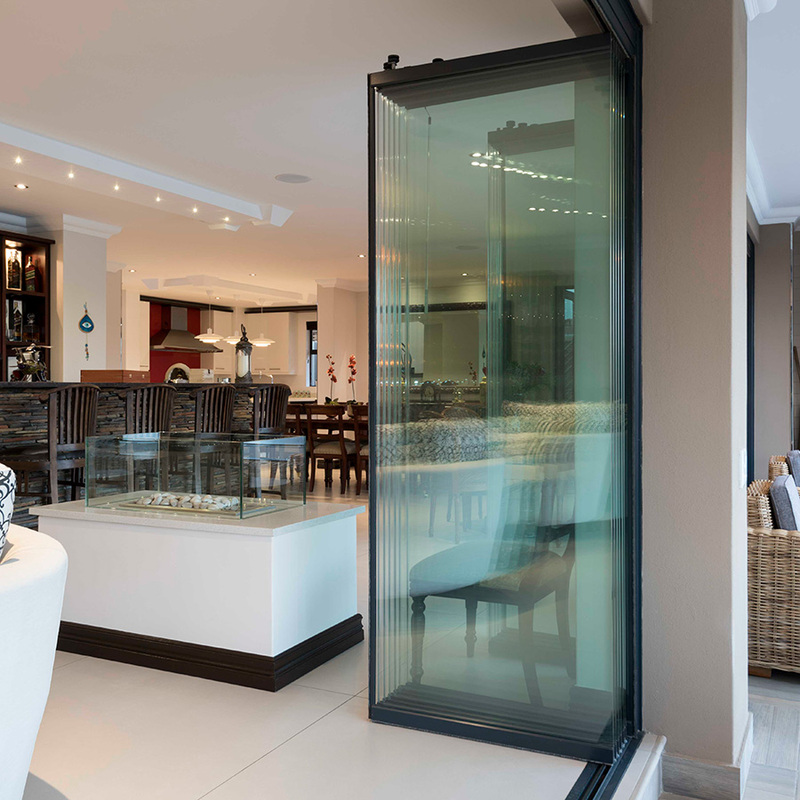 Discover our range of elegant and simple to use German engineered frameless glass doors, manufactured in South Africa to the highest quality standards. 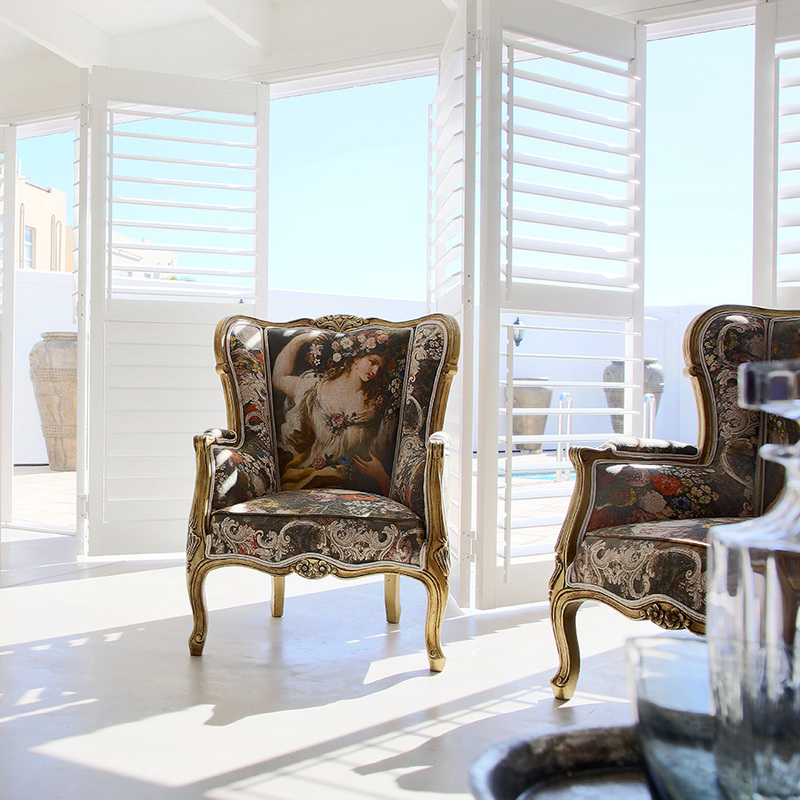 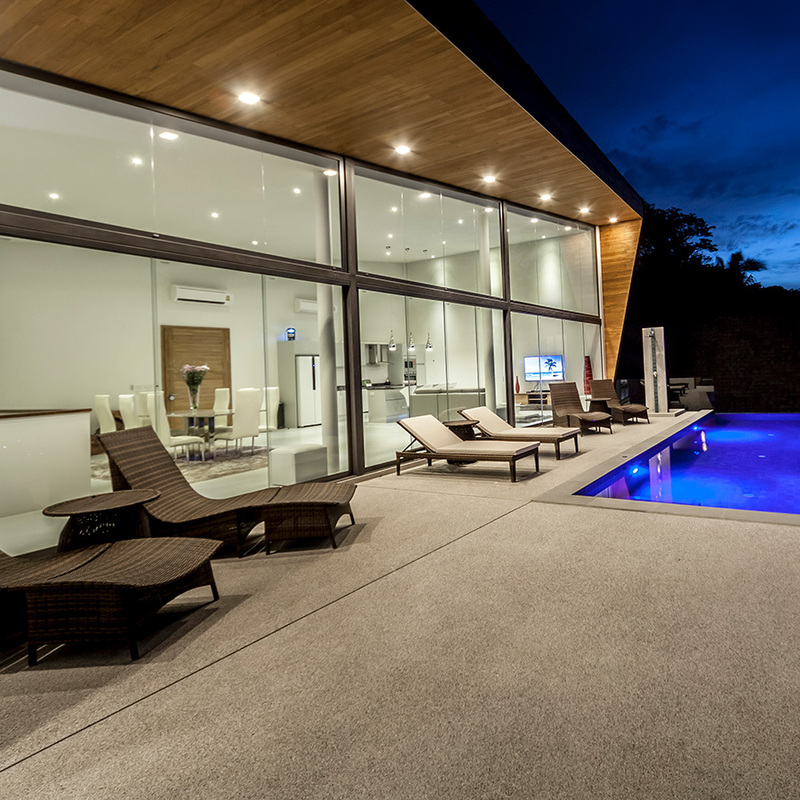 With 23 years of research and development at Sunflex in Germany, Sunflex SA brings frameless glass doors that are not only elegant and simple to use but also patio doors that can be trusted to outlast the rest. 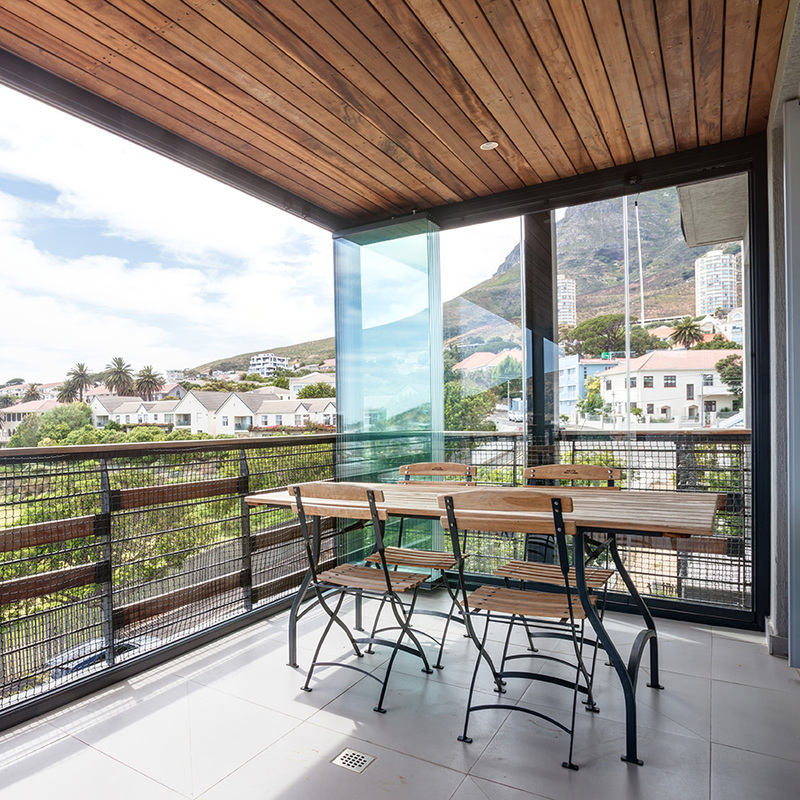 Using only the highest quality materials, fittings and fixtures Sunflex SA prides itself on delivering a quality product and market leading levels of service to its customers. 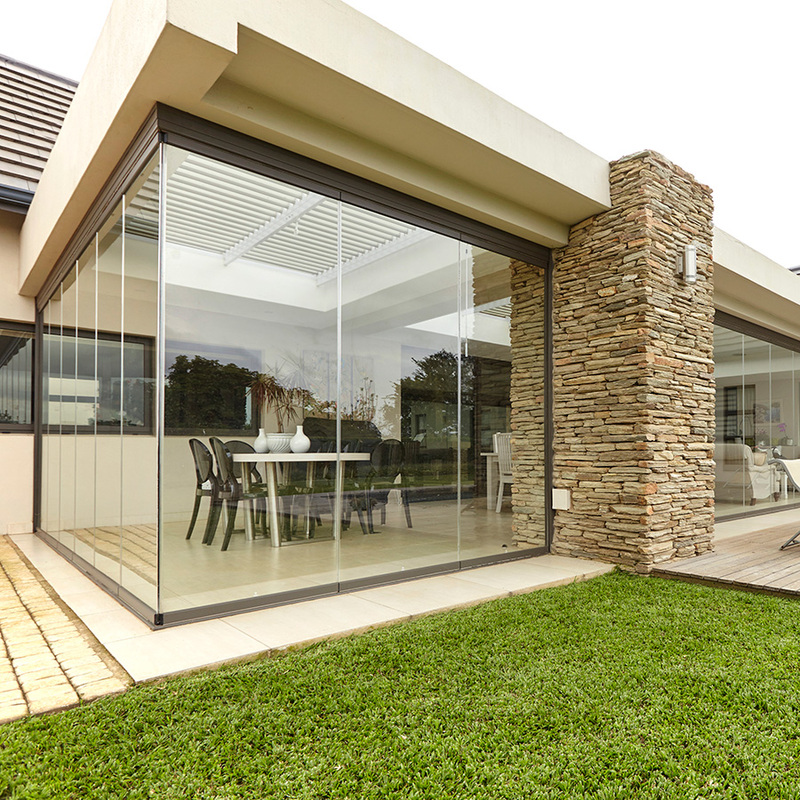 The Sunflex range of frameless glass sliding doors and stacking doors are ideal patio doors, balcony enclosures and room dividers. 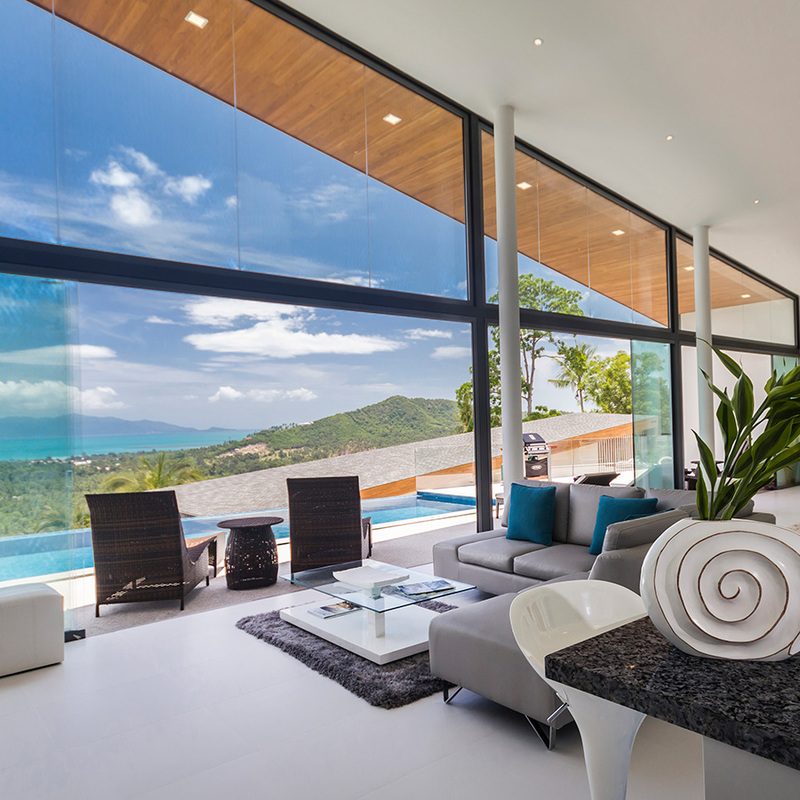 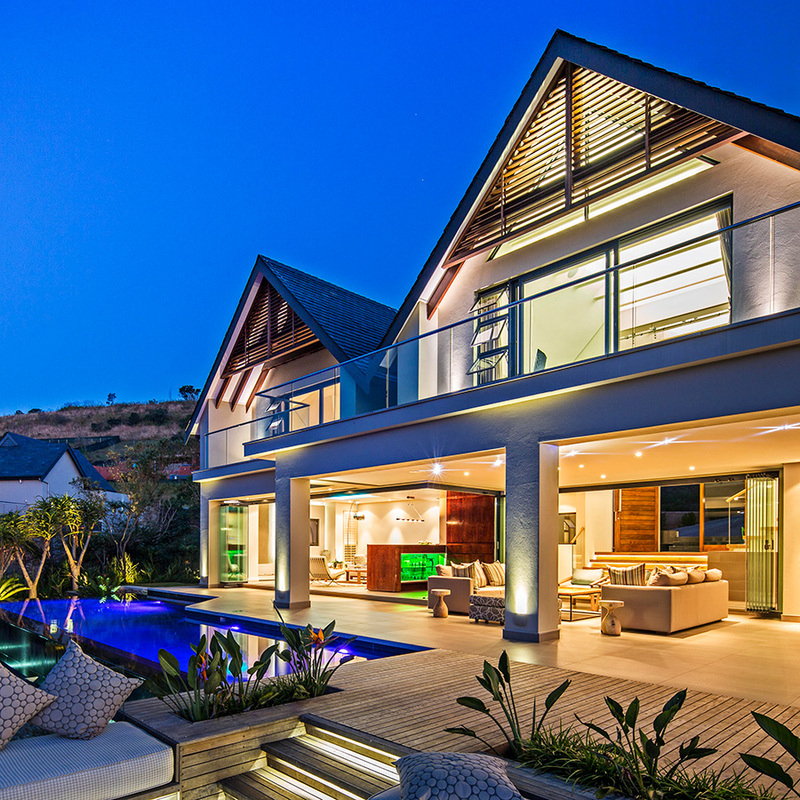 They enhance the attractiveness of every home through the use of frameless glass and slimline aluminum running profiles. 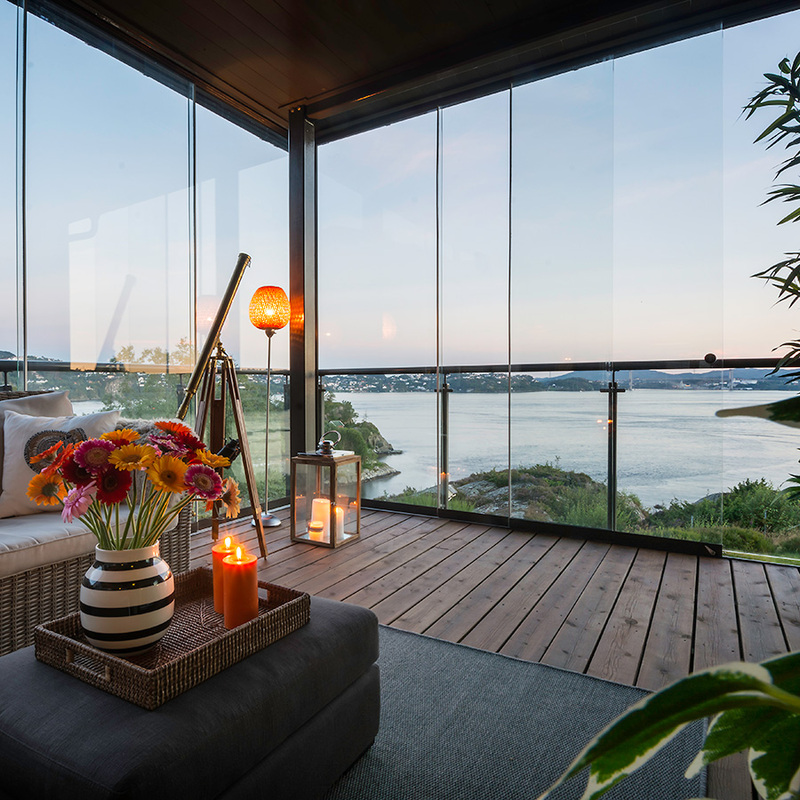 Their bespoke nature allows for the seamless integration of systems into new as well as existing buildings and structures. 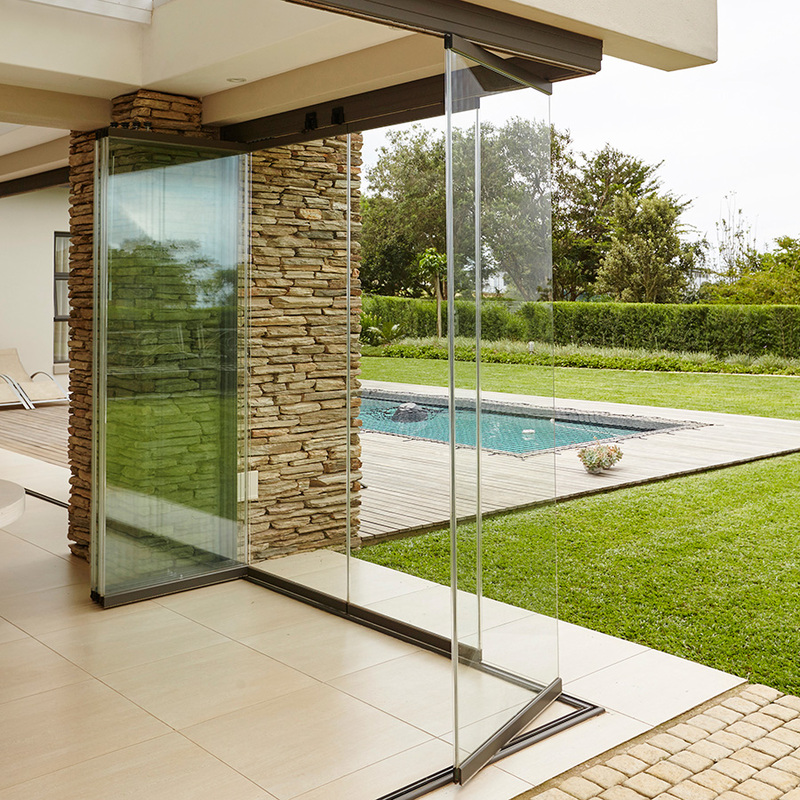 SUNFLEX slide and turn frameless glass doors can be opened over the entire front and parked as a narrow stack on the side so that a hassle-free passage from the inside to the outside is ensured with the visual appearance unimpaired. 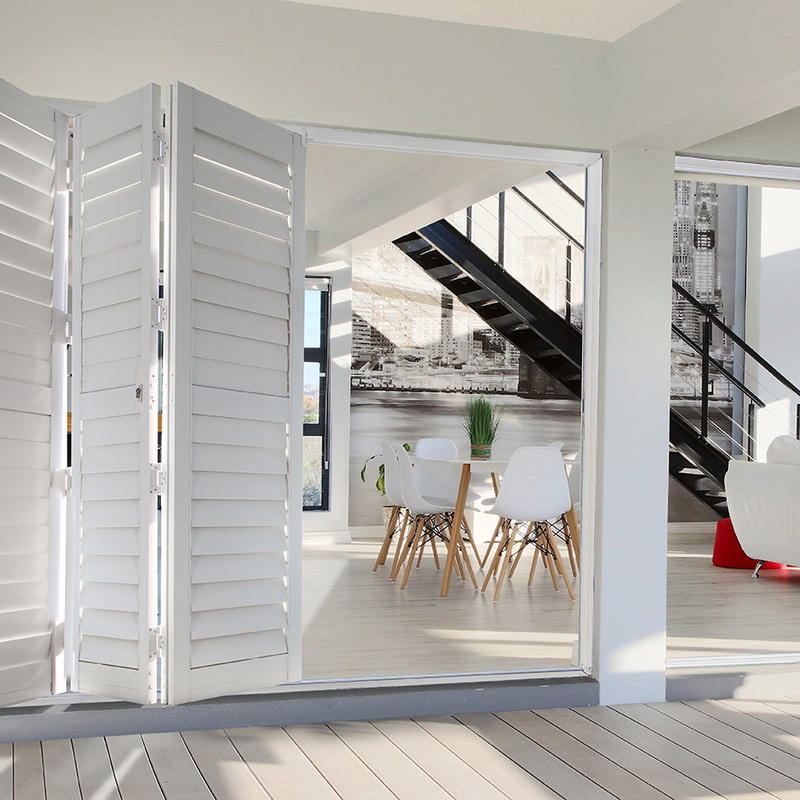 The slimline panels stack and clip neatly together, occupying very little space. 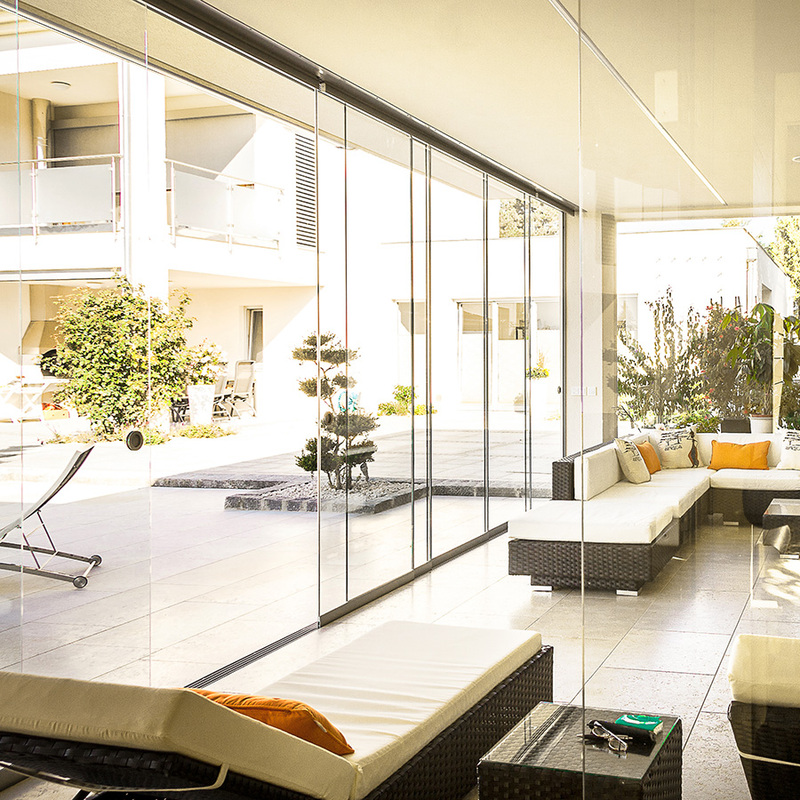 Designed for use as internal room dividers and office partitions, the Sunflex SF25 frameless glass sliding system can also be used in a stand-alone external structure, such as balcony and patio enclosures. 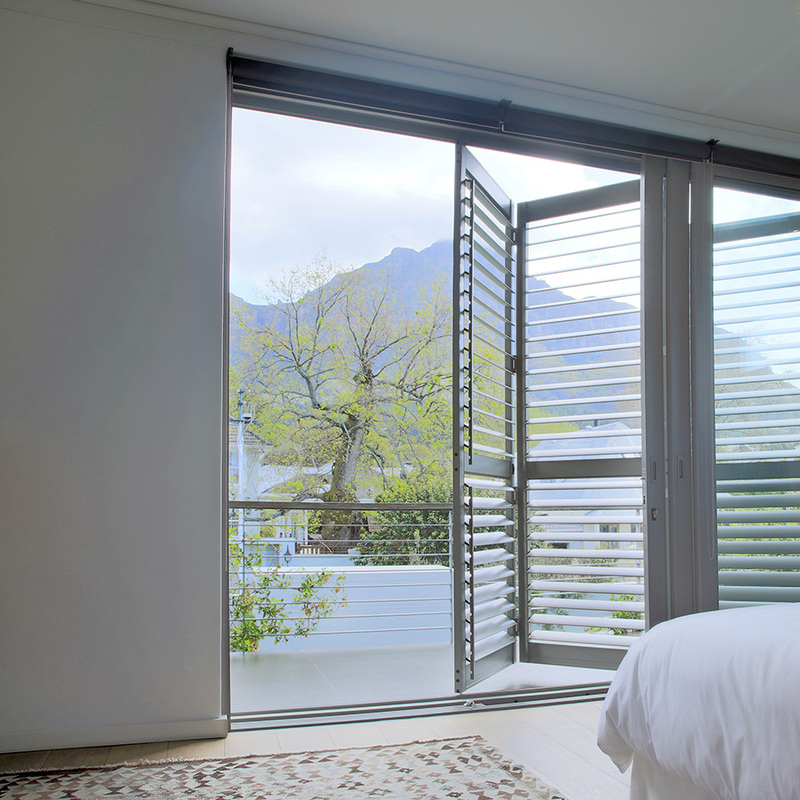 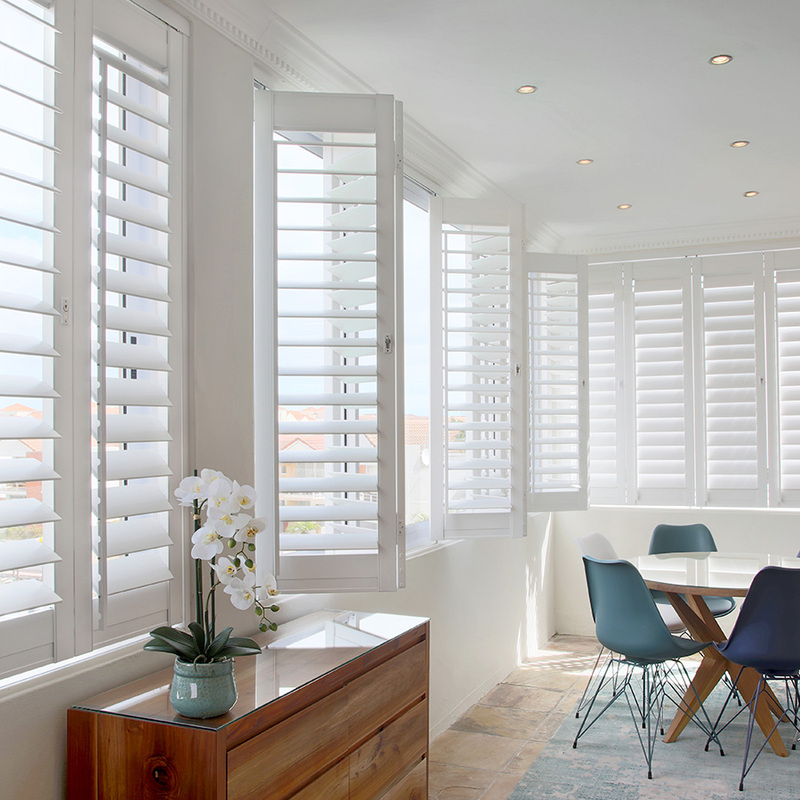 A good quality, locally produced and beautiful aluminium shutter that has fantastic light and privacy control characteristics as well as being an excellent security barrier. 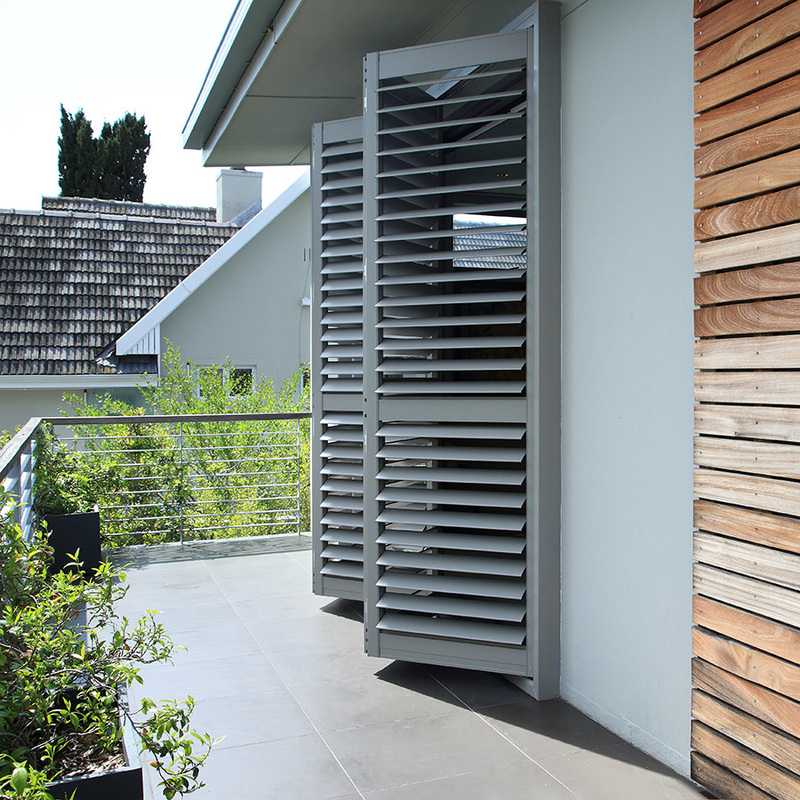 A great choice for external openings or damp/humid environments as well those openings that require extra security.